A recent update to Google Chrome (37.0.2062.120) removed the ability to support modal dialog boxes. This are dialogs that require your attention and stop you going back to the previous page until you have completed the info required – these are very useful in workflow type scenarios. Google claim that as 0.004% of web sites use them (from Google anonymous statistics gathering that you can opt into in Chrome) they are justified in removing support for them – but they have not removed other things that have the same level of support! 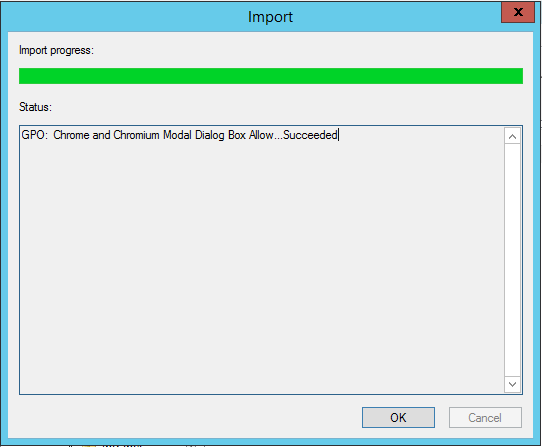 With this version of Chrome (or the Chromium open source browser) there is a work around until April 30th 2015 that will allow modal dialogs to work again. Without this work around clicking links in OWA and ECP in Exchange 2010 and OWA and EAC in Exchange Online and Exchange 2013 will not popup. This can cause issues such as the inability to attach files in OWA and to create objects in ECP/EAC for the administrator. 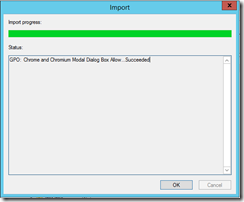 Popups in Microsoft CRM also do not work. 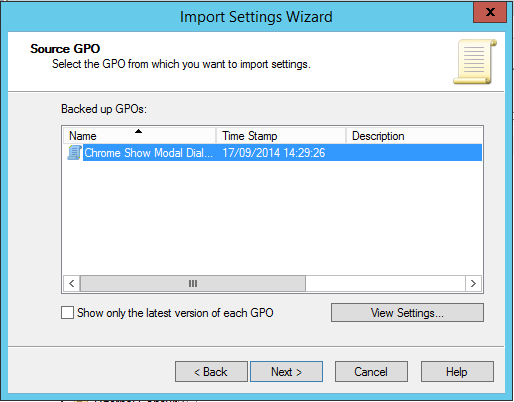 As a work around you could use a different browser, but if Chrome works for you (or does not in this case) and you are joined to a domain then you can download the following GPO export file and import it into your Active Directory to enable modal dialogs to work again in Exchange Server, Office 365 and Microsoft CRM products. 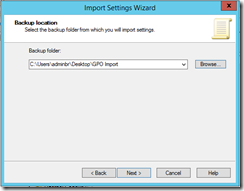 Copy to a domain controller and expand the zip file. Ensure the contents of the zip file are not placed directly on your desktop as you cannot import from the desktop directly, so if you expand the zip to the desktop then copy the one folder that was created into a new subfolder. Start Group Policy Management MMC admin tool. Expand Forest > Domain > Your Domain > Group Policy Objects. Proceed through the import wizard. 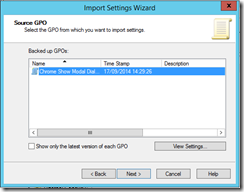 You do not need to backup this new GPO on the second page of the dialog as the new GPO is empty. Now link the GPO object to the root of your domain so it impacts all users and to the root of any OU that blocks inheritance. 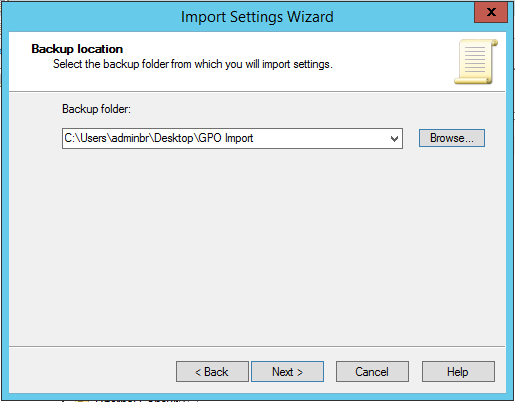 Import to other domains as above or link from this domain depending upon your current policy for managing GPO cross domains. Delete the zip and folder you downloaded. They are not needed any more. Pingback: The UC Architects » Episode 43: Can you hear me now?